The simple sophistication of Lastra endures with Lastra Sunflower. 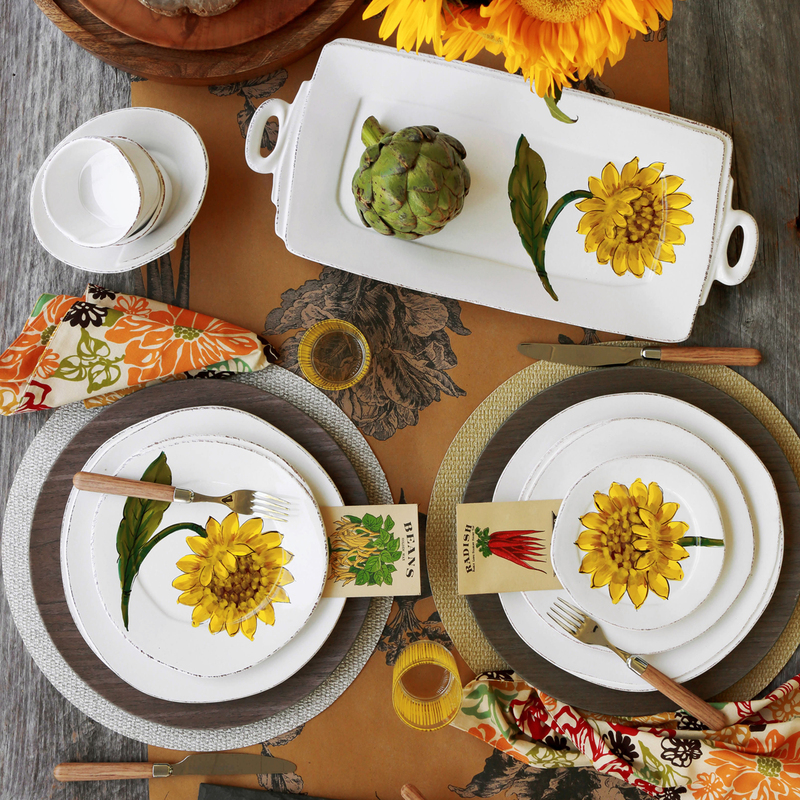 Bringing the joy of Italian girasole (sunflower) to your table, this collection features bright yellow and vibrant greens, detailing the beauty of this handpainted collection. Handpainted on Italian stoneware in Tuscany. Dishwasher, microwave, freezer and oven safe.